We’re all anxious to get outside this season, and outdoor activities near West Chester abound! This part of the country has so many beautiful landscapes for our viewing pleasure, as well as well-kept parks that allow us to spend quality time with our friends and families amid the sights and sounds of nature at its finest. Here are a few ideas to get your brain out of the winter gutter. The Sharples Works is a quick 25-minute drive (14 miles) from one of the coolest spring outdoor activities around. 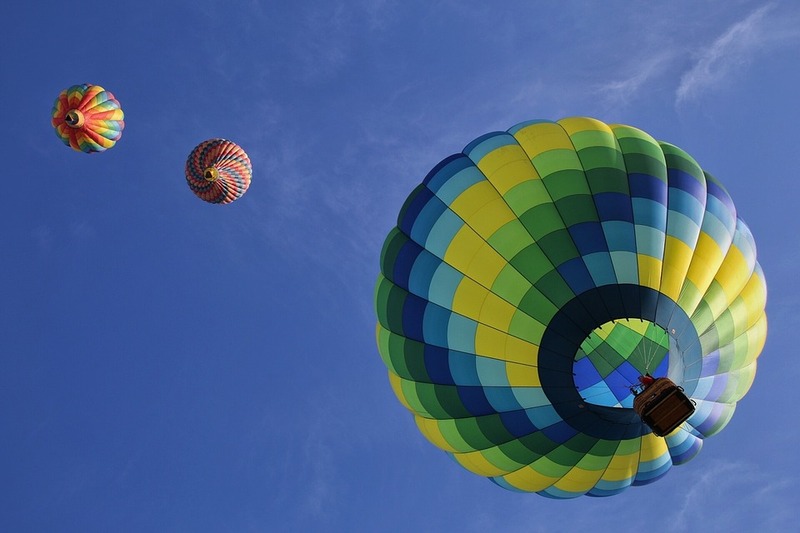 Brandywine Valley is home to Air Ventures Hot Air Balloon Flights. Most people go their entire lives without ever experiencing the thrill and sheer beauty of a hot air balloon ride. Select from a variety of packages, including their Traditional Package which promises a one-hour flight in a shared basket and a champagne toast. You can experience romantic flights for two, overnight flights, even meal flights. A dinner flight consists of a one-hour fly time with a full course dinner at Eagle Tavern. You can choose to dine either before or after your flight, and they’ll throw in a $25 credit toward anything on the menu. Their Sunday Brunch flight features an all-American comfort food experience from Liberty Union restaurant after a Sunday morning flight. Menu items include such delectable choices a shrimp cocktail, carved meats, and made-to-order omelets. Choose between a complimentary mimosa or Bloody Mary. Looking for something that provides a different kind of adrenaline rush while offering a boost of motivation and self-esteem? Brandywine Outfitters is about a 20-minute drive (about 10 miles) from The Sharples Works and offers an incredible selection of outdoor activities. Rent a canoe or kayak for a trip along the Brandywine River. You’ll get to paddle through one of the most breathtakingly beautiful parts of Pennsylvania. Take your time to enjoy the scenery, or go a little faster for a more invigorating workout. Break for lunch and then head to the zip line and ropes courses. High and low course options allow individuals to challenge their own perceived limits while surrounded by an encouraging group of people. High elements feature cables and ropes that are attached to poles and trees and are positioned at various heights. Highly trained professionals guide you through what’s often a physically, emotionally, and intellectually challenging experience like no other. You’ll be amazed at how you’re able to set and achieve goals and overcome your own fears and limits, and how helpful it is to have a group of supporters cheering you on. For some more traditional outdoor activities near West Chester, check out Marsh Creek State Park and Lake. From The Sharples Works, you’re looking at about a 25-minute drive (14 miles) to some of the best land and water fun Pennsylvania has to offer. Go out on the water for excellent sailing, windsurfing, and paddle-board lessons. Prefer land beneath your feet? Pack a picnic lunch and simply enjoy the scenery. Horseback riding is also offered. The possibilities are seemingly endless when it comes to springtime around The Sharples Works. There is certainly no shortage of outdoor activities near West Chester, so get out into the sunshine, ditch your cabin fever, and sample some of the delightful and different activities this part of the state is serving! For more information on The Sharples Works, contact us online or call 610-431-2864 to schedule a tour.